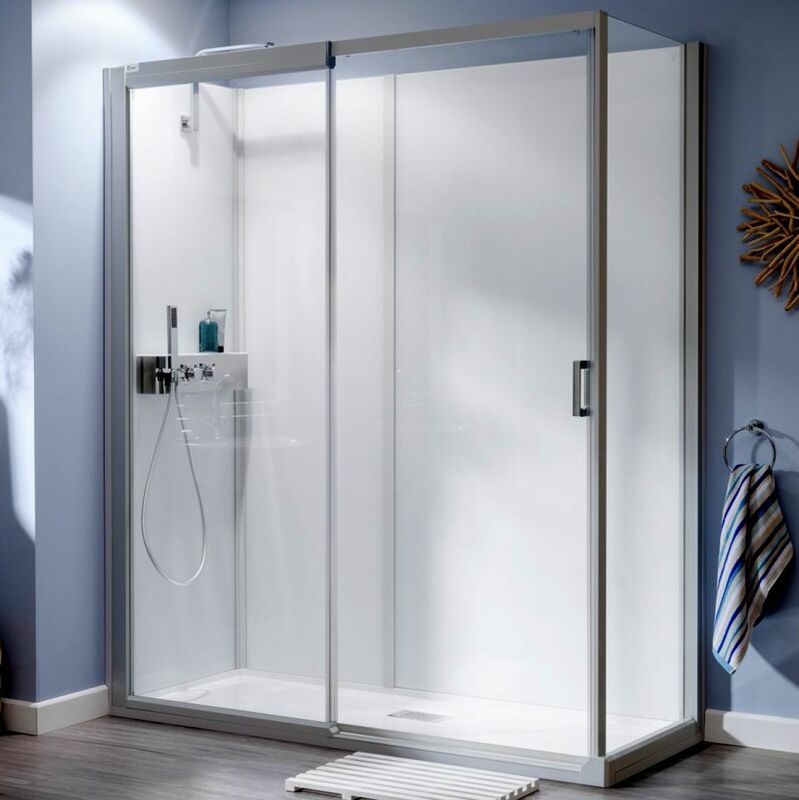 Seamlessly put together, rigorously tested and quality checked, the Kinedo Kinemagic Design all-in-one Shower Cubicle is part of an innovative and exciting product range that is setting new trends in the bathroom industry. 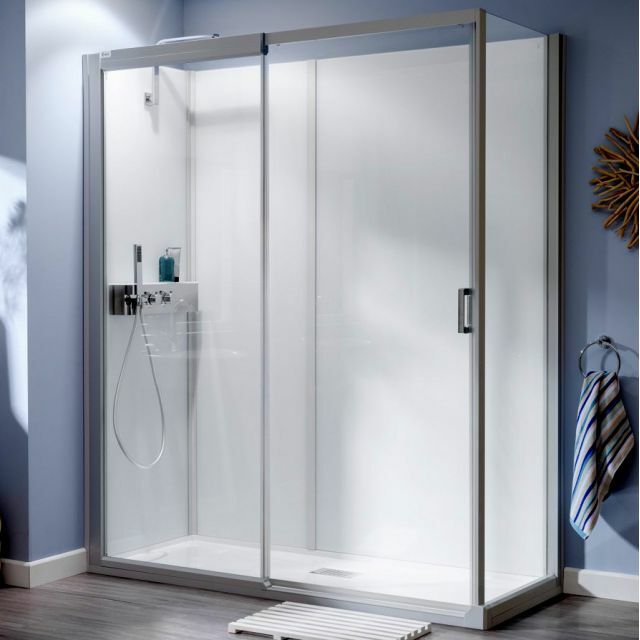 Best known for their single cubicle shower solutions, this forms part of their Inclusive range which has been designed specifically for the bath replacement market. Available in two guises to fit recess or corner spaces, six standard sizes are available in two widths of 1600 and 1700mm plus three depths of 700, 800 and 900mm. 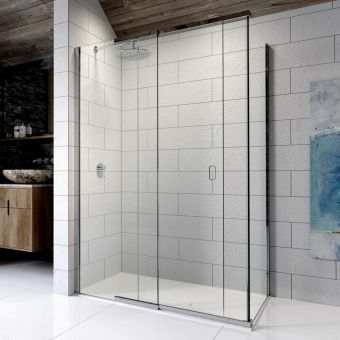 The whole unit is lined with 6mm toughened glass in a white opaque finish that offers a smart and seamless look. 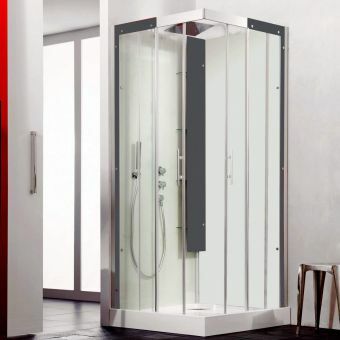 The 8mm glass utilised by the front doors glides effortlessly to allow easy access and along with the rest of the cubicle is covered by Kinedo's bespoke anti-limescale finish keeping down cleaning time and frequency. 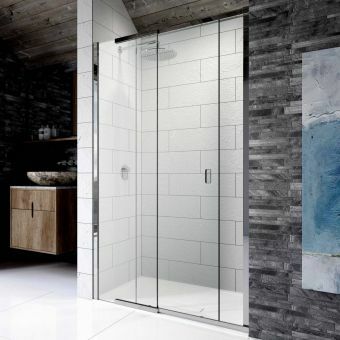 In keeping with their all-in-one approach to the showering space, it is supplied with a single visually appealing exposed thermostatically controlled shower valve. This unique design incorporates a top mounted white glass shelf, a handy place to store all your shampoos and shower toiletries. Fitted into the front of the design is a mounting bracket and single spray handset with a long flexible hose, ideal for the kids or simply washing down the inside of the enclosure occasionally. 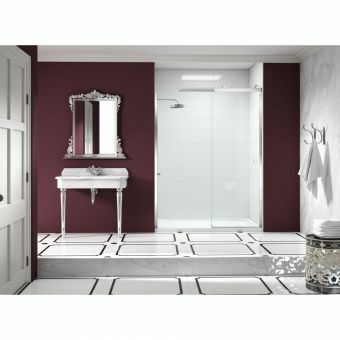 The two chrome knobs efficiently set the temperature as well as allowing you to decide which shower you want, handset or the impressive overhead rain shower. 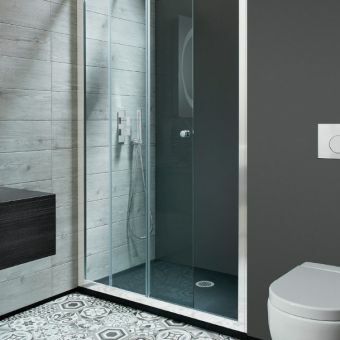 Kinedo's innovative product design will transform your bathroom in less than a day keeping plumbing costs down and inconvenience to a minimum.